The Mastheads, a public humanities project located in Pittsfield, Massachusetts, and developed by Tessa Kelly MArch ’12 and her husband, is the topic of a recent feature in Dwell. Consisting of an annual writers’ residency, as well as other community programming, the idea for The Mastheads grew from work by Kelly for her GSD thesis, “Projective Preservation and the Small American City” advised by Ingeborg Rocker. Inspiration also came from the course “Critical Preservation Practices” taught by K. Michael Hays. 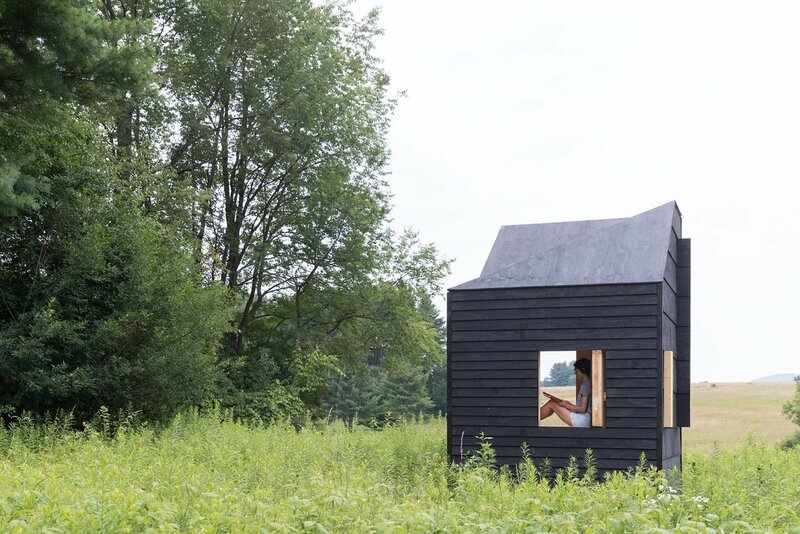 The designs for the residency’s five mobile studios take cues from the architecture of the structures in which five iconic American writers worked while living in Pittsfield: Herman Melville, Nathaniel Hawthorne, Henry Wadsworth Longfellow, Oliver Wendell Holmes Sr., and Henry David Thoreau. “We wanted to reference the historic structures, but we also wanted them be abstract, curious forms,” said Kelly. Applications for the July 2018 writers’ residency will be accepted through February 28, 2018. Learn more.